Suction cups with mushroom head for posters on windows. All of Adams Suction Cups will fix to a flat, clean, dry, slick or shiny non-porous, non textured surface like glass, mirrors, glazed ceramic tiles, glossy plastic etc. 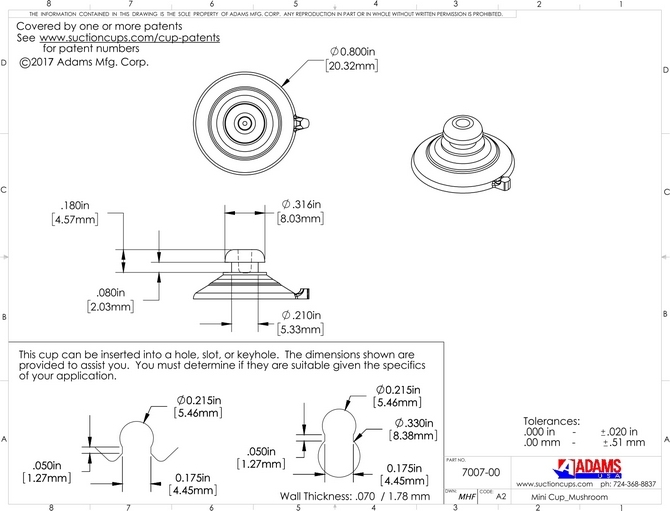 Adams 22mm Suction Cups are rated to hold 1/2 pound (0.22kgs) in weight on a suitable surface and mini suction cups with mushroom head are ideal for point of sale posters up to 2mm thick or attaching to self hanging products. This suction cup also has a top pilot hole to make it a double function product and will not yellow or turn brittle. 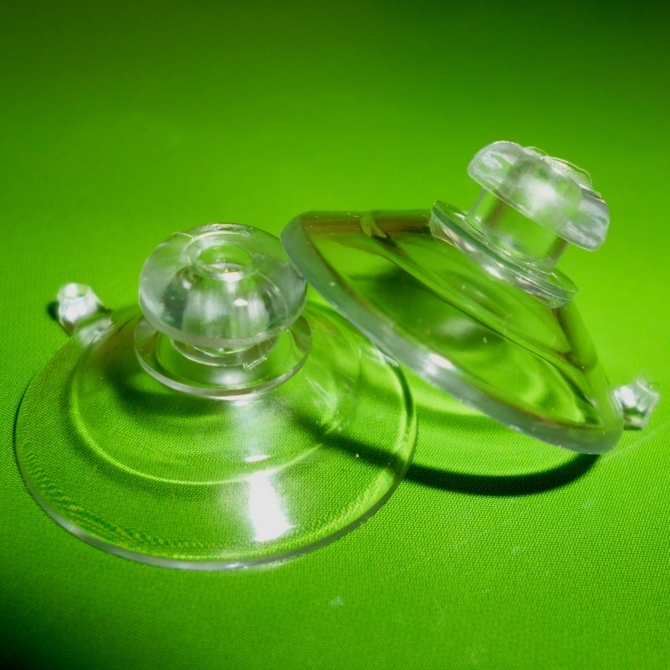 These Adams crystal clear suction cups are Phthalate free, have a light diffusing ring to eliminate scorching surfaces and has a quick release tab to remove or re-position.